Model #: PSW71512NC Click to view the whole line. This 1500 Watt inverter charger changes 12V dc to 120V ac Pure Sine Wave. It is a power inverter, battery charger & transfer switch with features dedicated for mobile applications such as work van, sprinter van, cargo van, conversion van , transit van and ice cream van. 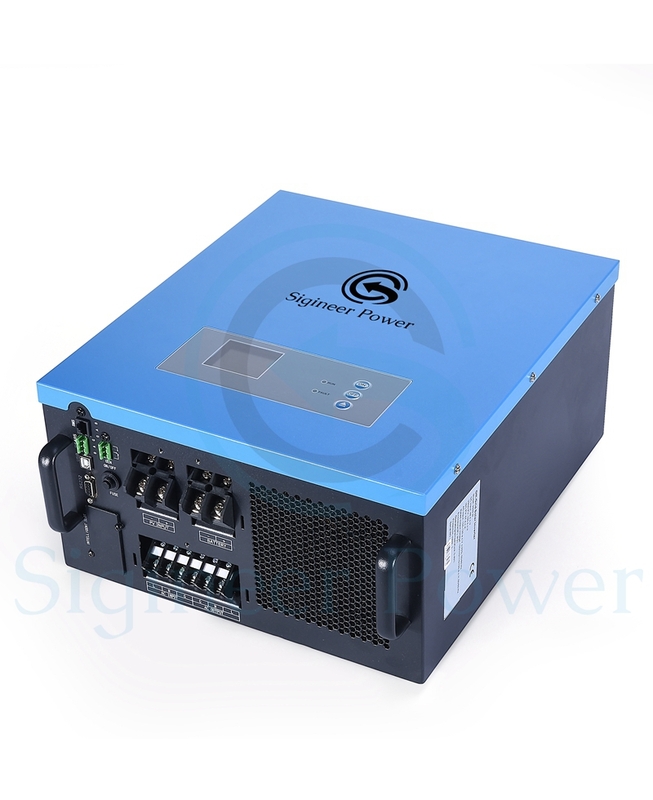 This 1500 watt inverter charger is a combination of a 1KW van power inverter, 20 amp battery charger and AC auto-transfer switch into one complete system with a peak DC and AC conversion efficiency of 80%. This high efficiency 1500 watt inverter charger converts 12 Volts DC to 1500 Watts of pure sine-wave AC power at 120 Volts 60 Hz. Features include detachable AC power input cable, built-in power outlet, overload protection, low battery alarm / shut down, low idle power draw of less than 0.6 Amps. 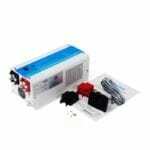 120Vac AC power is available from the two universal outlets on box. And the universal outlets can be changed to other specific outlet for your market. The van power inverter is packed with unique features and it is the most advanced 1500 watt inverter charger in the market today. It features power factor corrected, sophisticated multi-stage charging and pure sine wave output with unprecedentedly high surge capability to meet demanding power needs of inductive loads without endangering the equipment. Its output voltage is set at 120Vac by default, while it can also be calibrated to 110Vac or 100Vac for your market demands. The AC/Battery priority and auto generator start functionality make it suitable to work in either backup power or renewable energy or mobile applications such as work van, sprinter van, cargo van, conversion van , transit van and ice cream van. 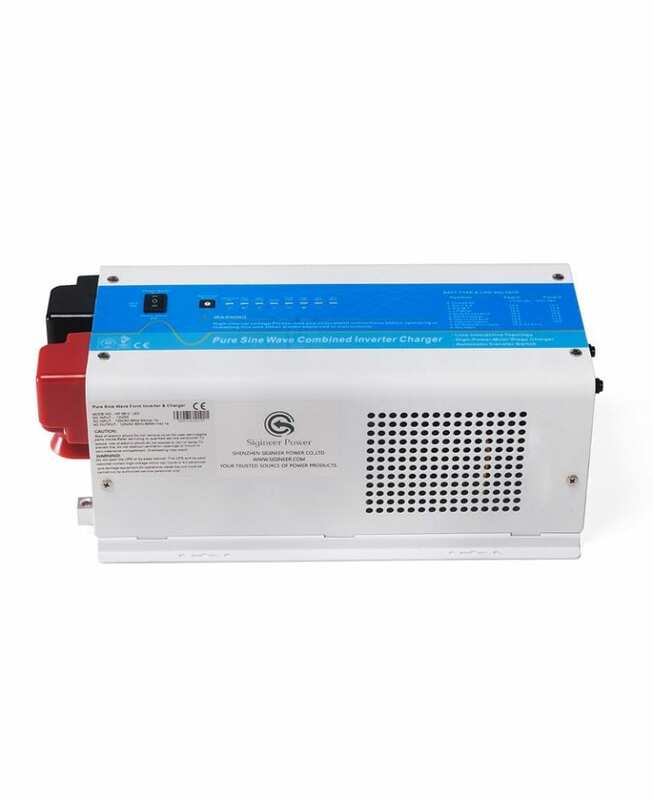 When customized to Battery priority mode via a DIP switch, the 1KW van power inverter will extract maximum power from external sources and renewable energy systems, with only minimal battery cycles being required. The overloads capacity is 300% of continuous output for up to 20 seconds to reliably support tools and equipment longer. The Hard Wire AC Terminal Block offers an option to meet some local council electrical regulations and makes wiring to back up generator easier.